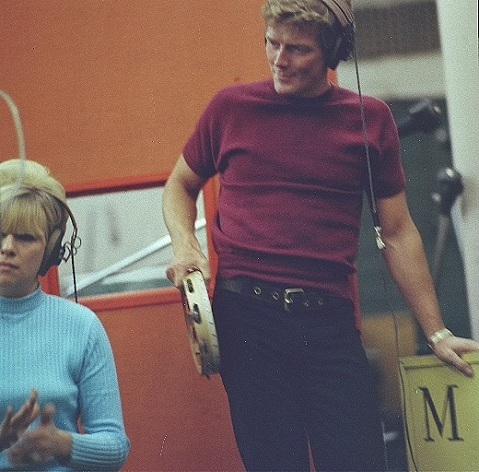 Eleanor Louise "Ellie" Greenwich (October 23, 1940 – August 26, 2009) was an American pop music singer, songwriter, and record producer. She wrote or co-wrote "Be My Baby", "Christmas (Baby Please Come Home)", "Da Doo Ron Ron", "Leader of the Pack", "Do Wah Diddy Diddy", and "River Deep, Mountain High", among many others. She discovered Neil Diamond and sang backing vocals on several of Diamond's hit songs. Still in college, in 1962, Greenwich got her first break in the business when she traveled to the Brill Building to meet John Gluck, Jr., one of the composers of the Lesley Gore hit "It's My Party". Needing to keep another appointment, Gluck installed Greenwich in an office and asked her to wait. The office turned out to be that of songwriter-producers Jerry Leiber and Mike Stoller. Hearing piano music from the cubicle, Leiber poked his head in and, expecting Carole King, was startled to see Greenwich, who introduced herself and explained her reasons for being there. Recognizing her potential as a songwriter, Leiber and Stoller agreed to allow her to use their facilities as she wished in exchange for first refusal on songs she wrote. They eventually signed Greenwich to their publishing company, Trio Music, as a staff songwriter. Before marrying Barry, Greenwich wrote songs with different partners, including Ben Raleigh (co-writer on Barry's first hit as a composer, "Tell Laura I Love Her," in 1960) and Mark Barkan. She was also a session singer, recording so many demos that she became known as New York's Demo Queen. Her biggest hits during this period were written with Tony Powers. The Greenwich-Powers team made the charts with tunes such as "He's Got The Power" (The Exciters), "(Today I Met) The Boy I'm Gonna Marry" (Darlene Love), and "Why Do Lovers Break Each Others' Hearts?" (Bob B. Soxx & the Blue Jeans, with Love on lead vocal). 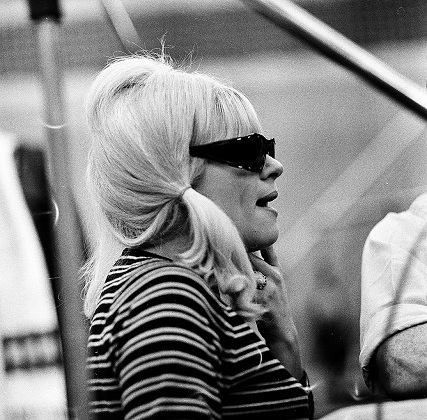 These last two were co-written and produced by Phil Spector, who had been introduced to the songs, and to Greenwich, by music publisher Aaron Schroeder. In October 1962, Barry and Greenwich married, and shortly afterwards decided to write songs exclusively with each other — a decision that disappointed Tony Powers as well as Barry's main writing partner, Artie Resnick. Barry was subsequently signed to Trio Music, and he and Greenwich were given their own office with their names on the door. Before the end of 1963, Barry-Greenwich had scored hits with songs such as "Be My Baby" and "Baby, I Love You" (The Ronettes), "Then He Kissed Me" and "Da Doo Ron Ron" (The Crystals), "Not Too Young To Get Married" (Bob B. Soxx & the Blue Jeans), and "Christmas (Baby Please Come Home)" by Darlene Love, all co-written and produced by Phil Spector. 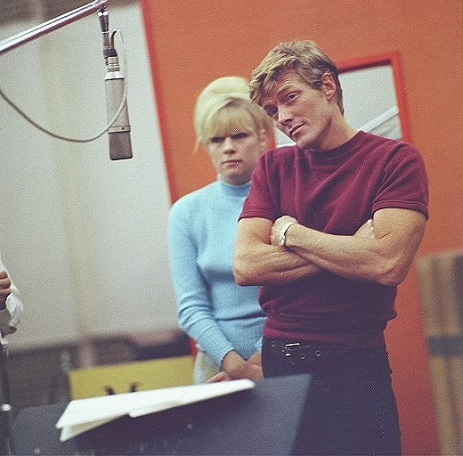 Greenwich and Barry also recorded singles and an album under the name The Raindrops, with Greenwich providing all the female vocals through overdubbing, and Barry singing backgrounds in a bass voice. In addition to "What A Guy" (actually a demo, with Greenwich on piano and Barry on drums, sold to Jubilee Records and released as the first Raindrops single) and the U.S. Top 20 hit "The Kind Of Boy You Can't Forget," the couple wrote and recorded "Hanky Panky", which later became a hit for Tommy James & the Shondells in 1966 and, in 1964, "Do Wah Diddy Diddy", was taken to the No. 1 spot on the charts, in both the UK and the US, by Manfred Mann. Toward the end of 1963, the Raindrops recorded "That Boy John", a catchy fusion of jazz and rhythm and blues that reached the middle of the charts; President John F. Kennedy had just been assassinated and, according to Barry and Greenwich, radio stations were loath to play the song. Barry and Greenwich also penned songs for Connie Francis and Lesley Gore. When Red Bird Records was founded in 1964 by Leiber and Stoller, Barry and Greenwich were brought in as songwriters and producers. The label's first release was The Dixie Cups' "Chapel of Love" (written with Phil Spector and originally recorded by The Ronettes), which sailed up the U.S. charts to No. 1. Barry and Greenwich continued to write and/or produce hits for Red Bird, including several other releases by The Dixie Cups as well as The Ad-Libs ("He Ain't No Angel" and "Remember"), The Jelly Beans ("I Wanna Love Him So Bad"), and The Shangri-Las ("Leader of the Pack"), co-written by George "Shadow" Morton. 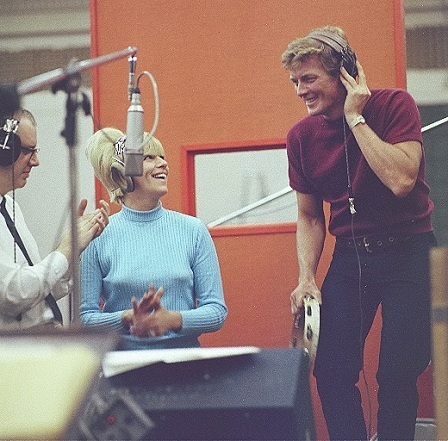 Morton, Barry and Greenwich penned "You Don't Know," which Greenwich recorded on Red Bird under her own name in 1965, at the same time Barry recorded and released another Barry–Greenwich tune, "Our Love Can Still Be Saved". However, the couple's marriage could not be saved; before the end of the year, Barry and Greenwich divorced. The couple continued to work together for much of 1966, partly due to Greenwich's discovery of a talented singer-songwriter named Neil Diamond. Barry, Greenwich and Diamond joined to form Tallyrand Music to publish Diamond's songs. Diamond was subsequently signed to Bert Berns's Bang Records, and had a number of hits such as "Cherry Cherry" and "Kentucky Woman", all produced by Barry and Greenwich, who also sang backgrounds on many tracks. In addition, Barry and Greenwich teamed with Phil Spector one last time to pen "I Can Hear Music", recorded by The Ronettes in 1966, which was their final single for the Philles label, and by The Beach Boys in 1969; and "River Deep - Mountain High", which Spector produced for Ike and Tina Turner, although Ike was officially banned from the studio recording. Although "River Deep" peaked at #3 in the UK, the song was a commercial failure in the US, stalling at #88. A few years later, in 1970-71, The Supremes and The Four Tops had a No. 14 (U.S. charts) hit with their revival of "River Deep". 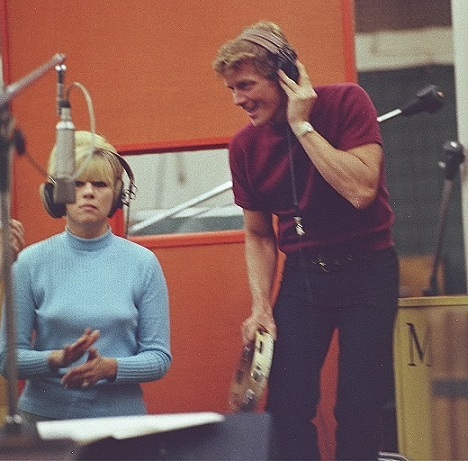 Ellie Greenwich recording with Bob Crewe at Mira Sound Studios, NYC - Foundational text courtesy of Wikipedia. Photos courtesy of George Schowerer. 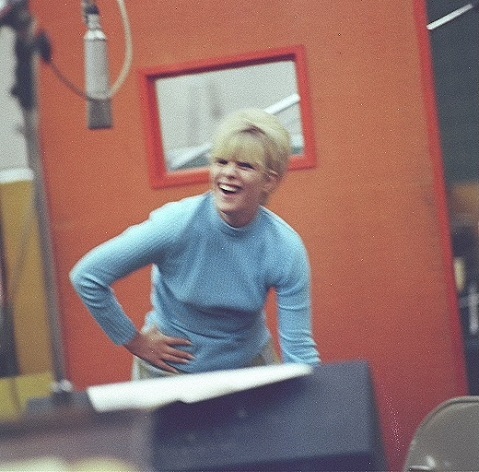 Do you have content or pictures, to add, of Ellie Greenwich? Do you just want to say "Hello!"? Please feel free to Share it, here! What other Visitors have said about Ellie Greenwich!